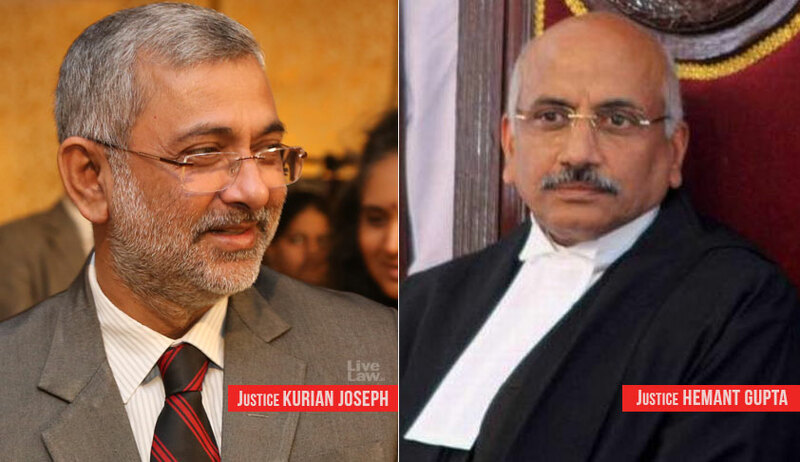 While allowing a married couple to ‘part as friends’, the Supreme Court bench headed by Justice Kurian Joseph reminded them about the duty towards their child. In its order, the court said: “They will keep in mind that though they have severed their marital relationship, for their daughter, Smita, Santosh is her father and Sakshi mother forever. The child is entitled to the love and affection, protection and guidance of both the parents and their families. The child also has a duty to respect, love and reciprocate the love and affection from both the parents and their families.” (Names changed). The wife had approached the apex court seeking a transfer of divorce petition pending before the family court in Madhya Pradesh to the family court in New Delhi. Before the apex court, they arrived at a settlement and filed application under Section 13B of the Hindu Marriage Act, and sought a decree of divorce by mutual consent. Justice Joseph is known for prompting parties, especially those in matrimonial cases, to settle the matters amicably by talking to each other. Many ‘transfer petitions’ before his bench are disposed not by transferring, but by recording settlement between the parties.